Something old and something new – that’s how the old wedding rhyme goes. And since there is something uniquely cool and chic about antiques, having an antique inspired wedding will definitely be uniquely fun and memorable. 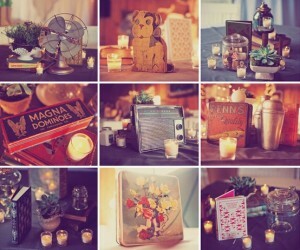 If you are thinking of an antique themed wedding, there is something you need to remember. A lot of people mistaken antique as vintage or vice versa. One way to distinguish antique from vintage is time. Vintage usually goes from 1920’s up to 1960’s. Antique, on the other hand, is earlier than the year 1920. 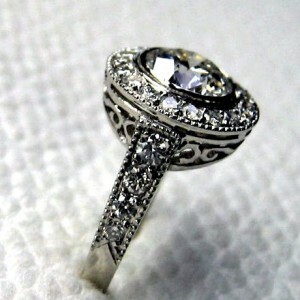 Antique is also classified as anything at least a hundred (100) years old. Most antique items in weddings are usually passed on from generation to generation – bride to bride or groom to groom – to keep the lineage going. It’s fun to mix and match new wedding items with antique ones. 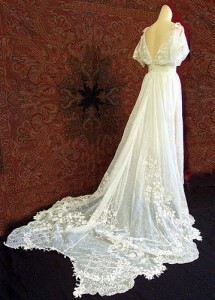 There are many antique wedding gowns and their accessories that are still wearable. You can actually check out your great grandmother’s wedding gown. There are many dress shops that can make alterations for you if necessary. Heirlooms such as wedding rings, engagement rings, buotonnieres and other wedding jewelries are great matches for your wedding gown or your groom’s attire. Antique grandfather’s clock, lamps, chandeliers, clocks, picture frames, cabinets, sala set, and old family pictures will be great antique wedding decorations for your wedding ceremony and wedding reception. Ask your trusted wedding planner or check out different sites and articles that can give you more creative ideas for your antique wedding theme.